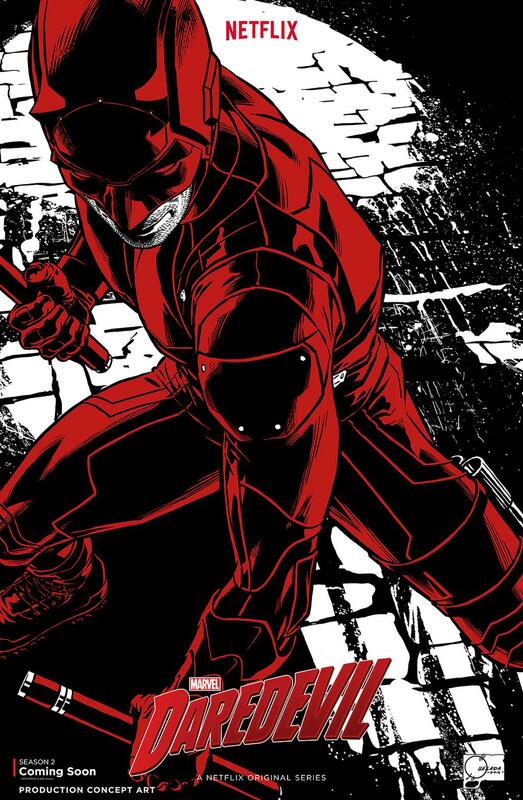 Marvel and Netflix have released a brand new poster for the New York Comic-Con this weekend featuring concept art for the upcoming second season of Daredevil. The first season is now streaming on Netflix and season 2 is expected to premiere sometime in the spring of 2016. If you haven't taken the time yet to watch Daredevil make sure you do so. It is easily one of the best things Marvel Studios has done so far!